While some of us may consider ourselves useful when playing some old-school games, there are few that are legitimately world-beating retro gamers. 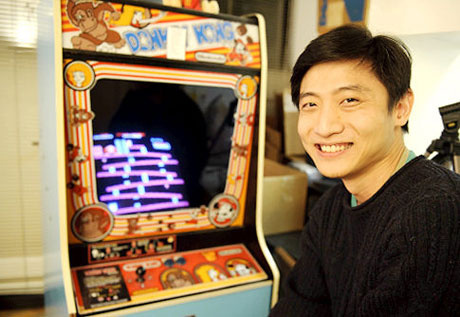 Dr. Hank Chien is one of the elite, as he's the record holder for the original Donkey Kong arcade title, an honour that he currently holds despite constant competition from fellow retro masters such as Steve Wiebe and Billy Mitchell. Having already surpassed one million points, Dr. Chien has now set yet another improved record to raise the bar on the classic arcade title. His new total is 1,110,100 points, and as he explained to video game historian Patrick Scott Patterson he knows that he can do better, and will need to do so in order to keep the record. This was not a killscreen game. I died two screens shy of the killscreen so my score would have been a little higher, perhaps 1.12 million points. I had a spare man going into Level 21 and was mentally preparing to sacrifice it on the last barrel board and my game was over a few minutes later. That's how Donkey Kong rolls sometimes. I know currently there are several players who are capable of beating that score. If there was still a Donkey Kong in every pizza parlor I'm sure I wouldn't have the record. I don't know what my limits are on this game. Right now it's about 1.15 million points. We rather like Dr. Chien and the continuing battle for the Donkey Kong record. We interviewed the champion last year, and let's not forget that Nintendo Life user Blackflag82 won our competition to design the official Team Chien t-shirt: it was rather snazzy, we must say. Would they please give us a perfect arcade port (not gimped NES version) of Donkey Kong on the 3DS and use the 3D effect to simulate the curved CRT (as Pac Man: Dimensions does beautifully) ? 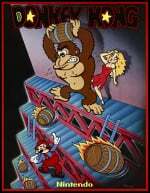 I'm dying for some classic DK as it was meant to be experienced. It should be 1.15M, not 1.5M. 1.5M would be almost impossible! I remember watching, King of Quarters (or whatever it's called). Always liked Steve. Billy seems too arrogant though. @Hank_Chien I salute you, good sir. @Joshers744 "The King of Kong" and that's how it was supposed to be. Any comments from Billy Mitchell? Perhaps a new hot sauce flavour or something...? @Hank_Chien I thought 1.5m was optimistic! Congrats on breaking the record again though — planning to take a break and let the other guys catch up? @Hank_Chien Thanks for the comment, we've updated the article (as has examiner.com, it seems) to read as 1.15 million. Still a big target, so best of luck! Major props to this guy. Donkey Kong is not an easy go. I can make it through 8 screens and that's if I'm lucky. I do wonder, though, if you can seriously destroy on a baby drum set like Steve Weibe... Doubtful. Wow...I wonder how much tie it took to come that far! The version featured in Donkey Kong 64 is closer to the arcade version (specifically the Japanese version when it comes to the order of screens) than the NES version. According to the YouTube user who scored 1,222,900 points in the Donkey Kong 64 version, there is no "kill screen" in that version.